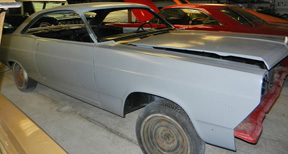 Here are some of the cars I have restored, am in the process of restoring, or plan to restore. Most of these pictures are thumbnails. 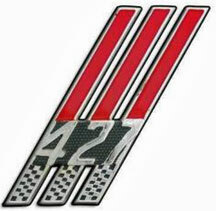 Click on each one to see more pictures of the cars. '69 Boss 429 Wimbledon White with Black interior. Painting on hold for now. Engine rebuild still in progress. '70 Boss 302 Grabber Blue with Black interior. Slowly going back together. Some of the carpet underlayment is on backorder - slows everything down. 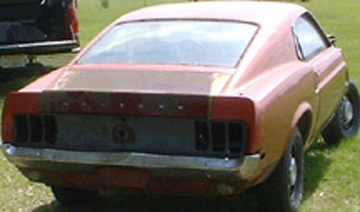 '70 Boss 302 Grabber Orange with Black interior. 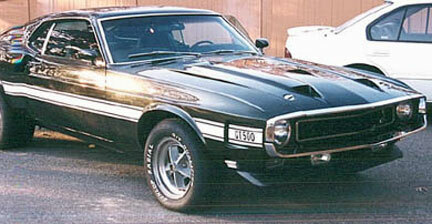 '70 Shelby GT500 Drag Pac Black Jade with Black interior. Needs stripes and reassembly. 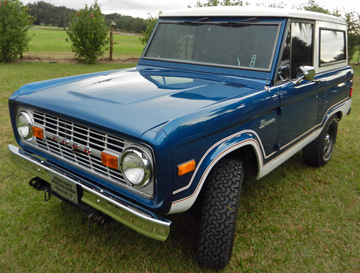 '77 Bronco Ranger Midnight Blue Metallic with Blue Houndstooth seats and door panels. I put a newer rebuilt 302 in this one - I like it. This one is waiting up on the rack in the back of my shop. I'm still looking for parts. '66 Fairlane GTA Red with Red interior. I'm thinking of sending this one on to a new home. '67 Fairlane 427 that once belonged to a friend. 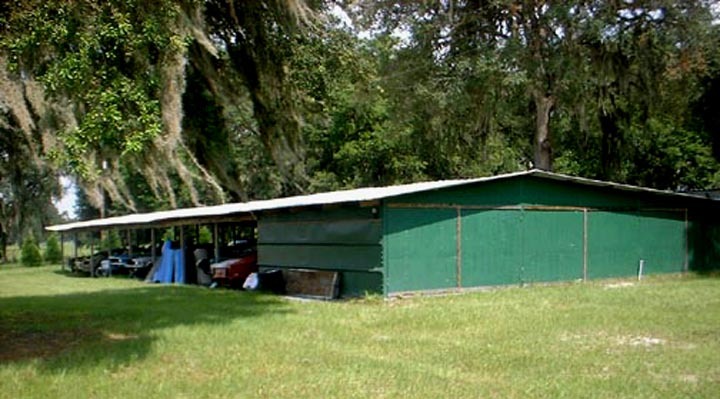 I'll be working on this restoration someday. 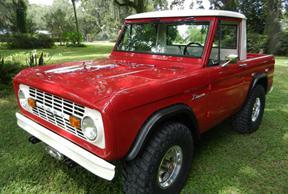 '69 Bronco Half-Cab Candyapple Red with Parchment interior. 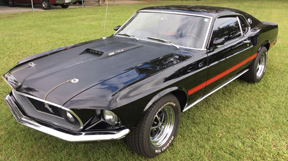 '69 428 CJ Mach 1 Black with Black interior. All original - paint shows only minor wear after all these years. An amazing survivor.